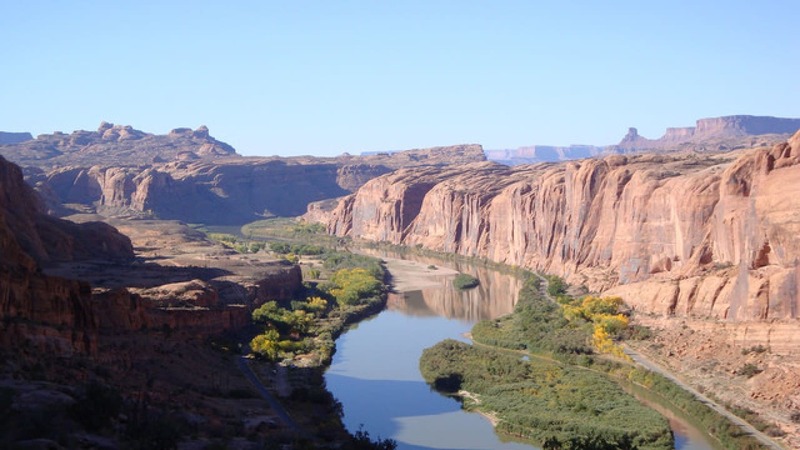 After the Federal Government’s warning of shortage in the water in River Colorado, the states through which the River flows pulled up their socks to draft their own drought plans. Arizona is one of the states that will be affected by the shortage in water. But, the House Democrats of Arizona are hesitating to ratify the drought contingency plan over a missing element in the plan. Minority Leader Charlene Fernandez said Thursday many of her fellow members of the House are questioning at the absence of any proposal in the plan for water conservation. The proposed plan is mostly focused on moving water from one place to another. Especially to the Pinal County as it will cater to farmers there. The Yuma Democrat said the proposal is not dealing with the most important aspect of the issue that is Arizona using more water than what is naturally available. It should be reported here that the Federal Government has given the deadline of January 31st to come up with a plan otherwise the U.S. Bureau of Reclamation would bring its own plan to divide the water of Colorado River amongst the states. And as the date is nearing, Fernandez said that she did not want to hold the whole package as a hostage. She admitted that Arizona is at a very critical time with only 14 days left for the plan to be passed, but it can be done in the given period. She said Water Conservation is very important. She also pointed out the new proposed deal is not just about changing state water law. There is also money involved. A huge amount will be needed by the state to buy water from the Colorado River Indian Tribes as well as to help Pinal County farmers drill new wells to replace some river water they’ll lose. She said if the state is putting money that would be in millions, the State should ensure what exactly it wants from the deal. Senate President Karen Fann said she agrees to the most points raised by the Democrat. But the Prescott Republican said she does not want to make the already complex issue more complex by adding some more issues or questions at the last moment. She said that the state lawmakers were against the wall. She emphasized the whole point of the multi-state drought contingency plan is to keep the level of Lake Mead from going any lower than already projected. If the water level drops even lower, that will trigger requirements to make even deeper cuts in water use than the current plan envisions. As per the Bureau of Reclamation’s projections the risk is real. It should be reported here that in 2007, Arizona and other states projected the water level. Using the data of previous 100 years, they concluded the chance of Lake Mead hitting critical shortage by 2026 was less than 10 percent. But the data of the last 30 years has been showing a different trend. The Southwest has been facing a historic drought as it continues to withdraw water at this rate increases the chance of the lake falling to critical levels to more than 40 percent. As per Brenda Burman, commissioner of the Bureau of Reclamation has made one thing clear that if the States do not come up with a plan, the Bureau will have to come up with the same. Fann said that the conservation program would come up eventually, but the lawmakers should be more concerned about the immediate problem of the deadline of January 31st given by the Federal Bureau. Fernandez said there is no reason to delay the proposal. She added they need something to address this issue, so they were not back here in five or 10 years. She said that the reason for the immediate push for action is our ignorance of the problem. She said we need to acknowledge that there was a drought and the climate change is also real. The outcomes we are facing now are due to our attitude towards the scientist’s findings. While Fann doesn’t want the progress of the proposal to be slowed down by the new issues like conservation but she gives no guarantee of acceptance of the proposal by her or the Republicans. She said it is not clear what is in the legislation, but there are certain ideas which have been floated by the lawmakers. And the things which have been floated are prone to changes. She said there would be some tweaks in that proposal before it gets finalized.